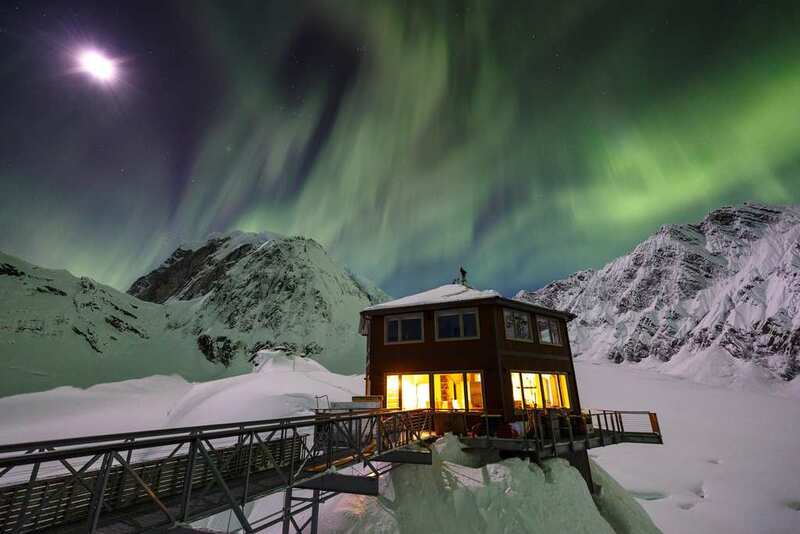 Alaska in winter, despite being freezing, is blessed as one of the best places to view the northern lights and see nature in all its beauty. However, there is one place in particular which will make the viewing experience even more worthwhile. 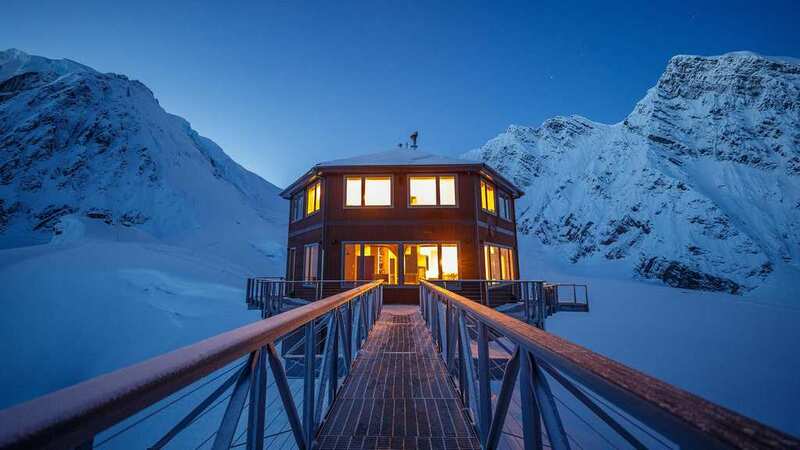 The Sheldon Chalet is a new lodge that sits on Denali’s shoulder and is only accessible by helicopter. In the 1950s, a bush pilot named Don Sheldon made the five acres of what would later become Denali National Park and Preserve a home. Included within this area was a 300-foot-high granite outcropping sticking out of a glacier. He built on top of it a hut that was only practical for use by experienced mountaineers. Although Sheldon sadly died in 1975, two of his children kept on his legacy. Last year, they built a hexagonally shaped, five-bedroom lodge that can host people from all over. 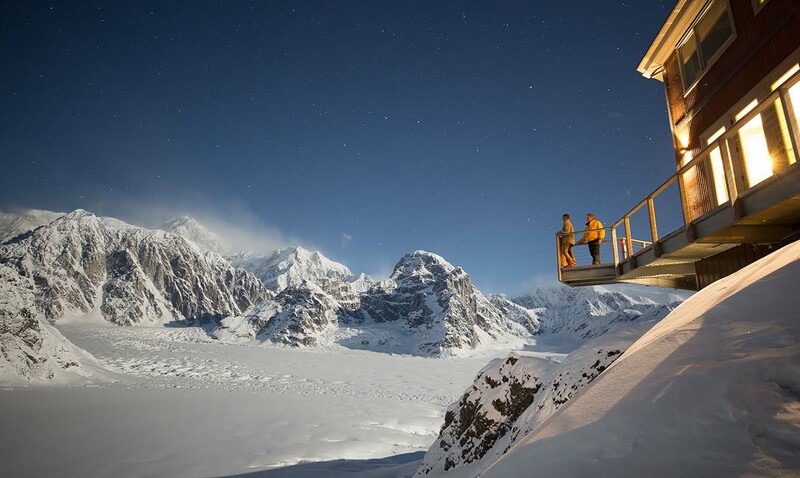 Here, guests are able to trek over glaciers, go heli-hiking, and glimpse the aurora borealis. The lodge may seem small but is fully equipped. Upon arrival, you are greeted with champagne and oysters and many other exquisite nibbles. Inside the lodge is a warm stove, cozy faux-fur blankets, and you even get slippers personalized to your own size as well as little pillow chocolates. If that doesn’t sound good enough, when you step outside you can hear nothing but silence, followed by an insane view of uplifting rocks and ice. It is unlike anything you would have ever seen before. The place forces people to be at one with nature, especially as there is no Wi-Fi. It gets better than that. The new Borealis Basecamp, 25 miles north of Fairbanks, contains dome-shaped cabins. Each has a panoramic window so that you will be able to view the northern lights from the comfort of your bed. Fairbanks has the right latitude, light, and precipitation so that you are more likely to view the lights at their peak. This is certainly a place to not miss.